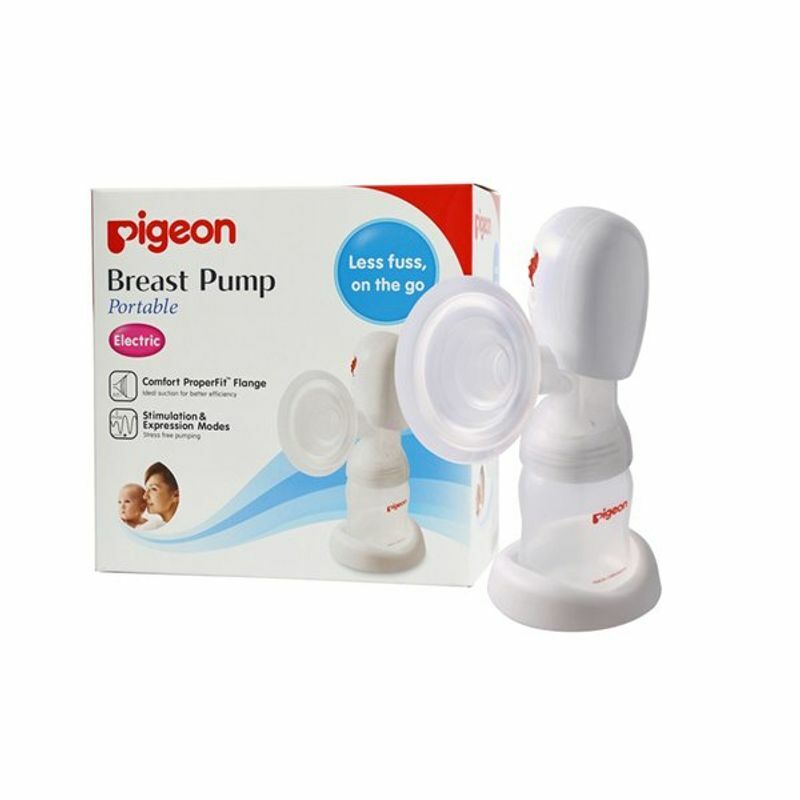 Pigeon Portable Electric Breast Pump has a unique Push Lever that allows complete control over the adjustable pumping cycle to imitate baby's suckling pattern and encourage milk flow, the perfect sealing air cushion fits perfectly to the breast to softly envelopes and gently stimulates the breasts that enable mothers to have comfortable and successful breast milk expression (faster let down). The Perfect Sealing Air Cushion fits perfectly to the breast to softly envelopes and gently. Additional Information: Pigeon products are all about love and care for the baby and mother. A market leader in mother and baby care products, the brand is known for its high quality products like breast pumps, baby toiletries, disposable diapers, baby wet wipes, pacifiers and safety items.